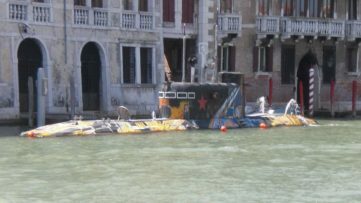 In less than two months, the city of Venice will become the mecca of contemporary art. An array of artists, curators, art historians, businessmen, celebrities and all the people interested in art will curiously wonder across the exhibition curated by Ralph Rugoff shattered across the floating city. We already presented the first, the second, the third, the fourth, the fifth, the sixth, and the seventh round of participating national pavilions so this top list below features the latest group of the countries which will present themselves at the Venice Biennale 2019. Featured image: Anatoly Shuravlev – Victory over the Future, 2009, Russian Pavilion. Image via Flickr. The Republic of Ghana will have its national pavilion at the Venice Biennale for the first time. The Ministry of tourism, art, and culture commissioned the project curated by Nana Oforiatta Aym and advised by one of the best known African curators Okwui Enwezor, who recently passed away. The project title Ghana Freedom refers to the song composed by E.T. 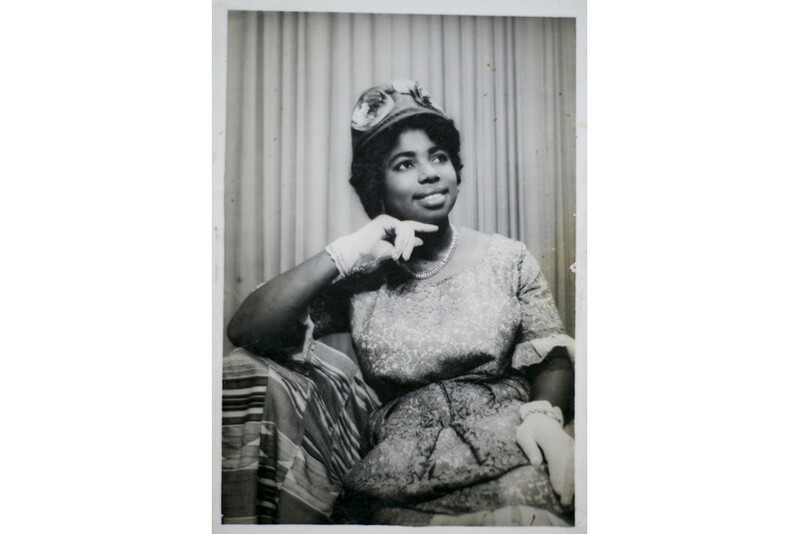 Mensah after the proclamation of the independence in 1957, meaning that it will explore the notion of gained freedom through the works of six artists. It will include large scale installations by Ibrahim Mahama and El Anatsui, representations of painter Lynette Yiadom-Boakye and prominent photographer Felicia Abban, as well as a three-channel film projection by John Akomfrah and a video sculpture by Selasi Awusi Sosu. 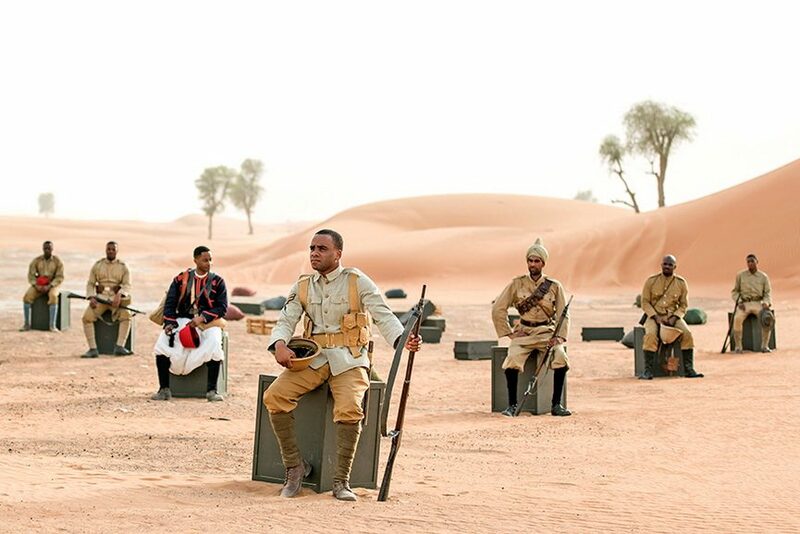 Featured image: John Akomfrah – Mimesis: Seven. Ambiguities of Colonial Disenchantment, 2018. Three channel HD colour video installation, 7.1 sound. 73 minutes © Smoking Dogs Films. 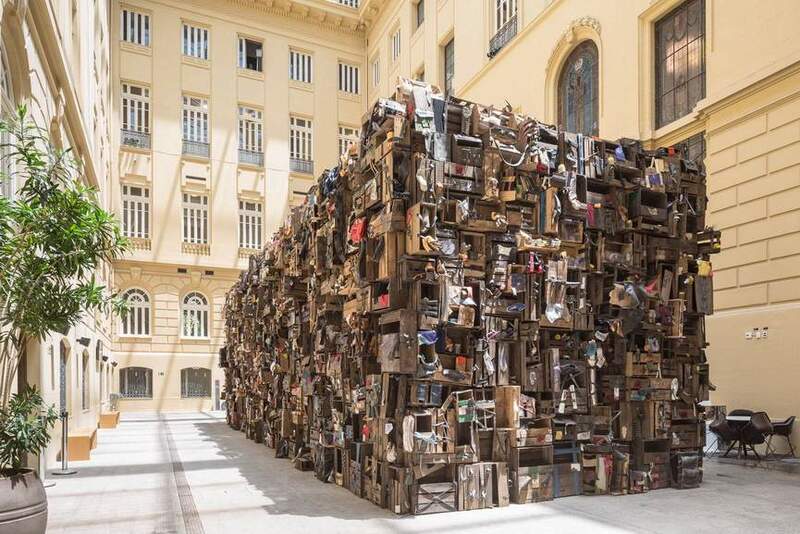 Courtesy Lisson Gallery; Ibrahim Mahama – Non Orientable Paradise Lost 1667. Centro Cultural Banco do Brasil, Belo Horizonte, Brazil, 2017. Photo © Ibrahim Mahama. Courtesy White Cube; Felicia Abban – Self Portrait IV. 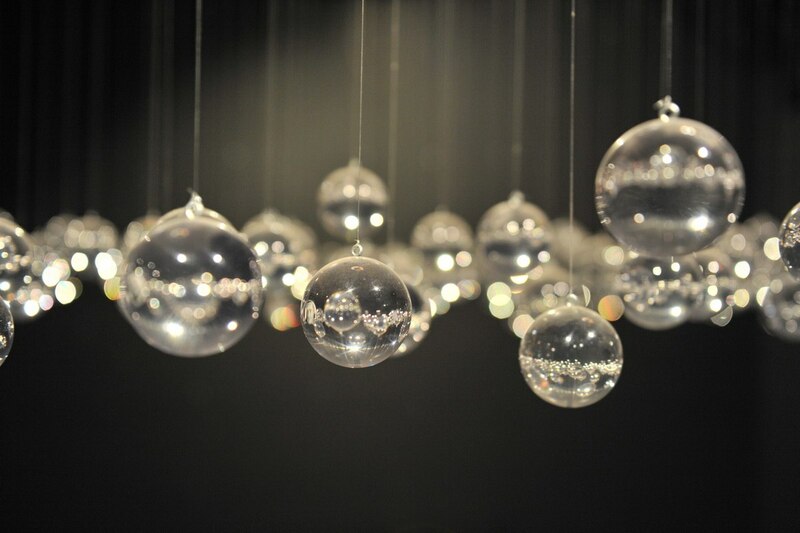 Following up is the pavilion of Finland, where the project titled A Greater Miracle of Perception envisaged by The Miracle Workers Collective (MWC) will be presented. It gathers a group of multidisciplinary and multinational people such as writer Maryan Abdulkarim, filmmaker Khadar Ahmed, choreographer Sonya Lindfors, artist and activist Outi Pieski, visual artist and musician Leena Pukki, visual artist and activist Martta Tuomaala, just to mention the few. The aim of the collective is to explore the miracle as a poetic vehicle suitable for expansion of perceptions and experiences. The exhibition will feature cinematic collaborations by the collective members, and a site-specific sculptural installation by Outi Pieski (focused on the transnationality of the Sámi people). The series of public events taking place in, Venice, Berlin, Karasjok and Helsinki during 2019 will extend the exhibition outside the constraints of the worlds best-known art event. 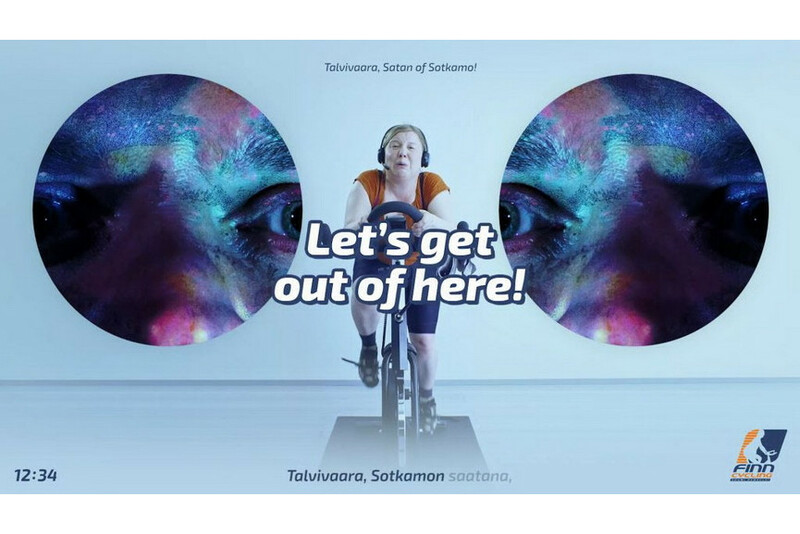 Featured images: Martta Tuomaala, FinnCycling-Soumi-Perkele! Volume 2, 2017, Installation. 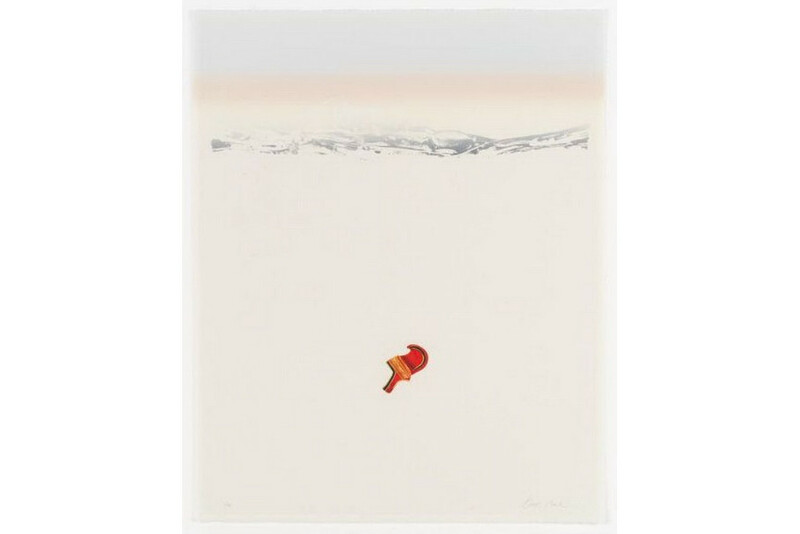 Courtesy the artist; Outi Pieski – Sweet Hat Mountain, 2018, lithography, printed in Tamarind Institute. Photo by EMMA and Ari Karttune. 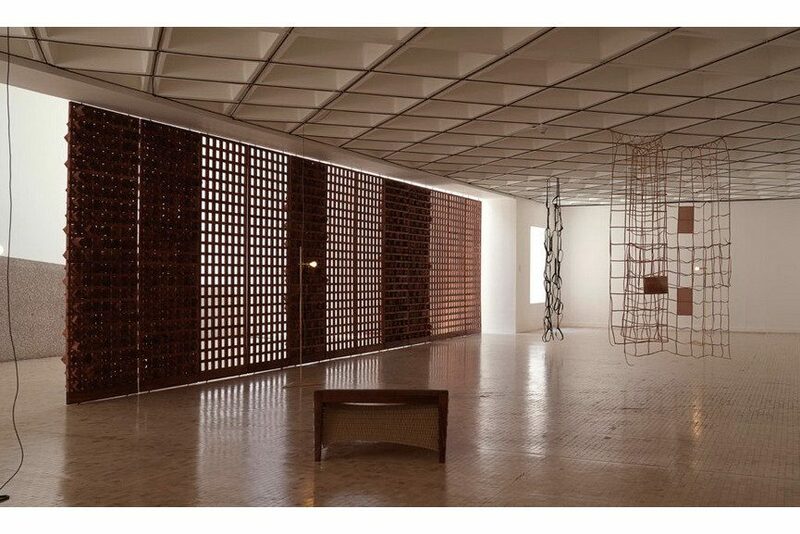 At the upcoming Biennale, the Portuguese pavilion will feature the latest work of Leonor Antunes curated by João Ribas. The artist was selected by the curator via a competition promoted by the Directorate-General of Arts part of Ministry of Culture, the institution which commissioned the pavilion. By explicitly referring to the architecture, design, and art of the 20th century, Leonor Antunes explores the function and the meaning of everyday objects and the sculptural potential of modernist forms. Featured image: Leonor Antunes – Discrepancies with C.P., 2018. Installation view at Museo Tamayo, Mexico City. Courtesy of the artist and Museo Tamayo. Photo: Nick Ash. South Africa’s Department of Art and Culture (DAC) announced recently that the country will be represented by painter Mawande Ka Zenzile, installation artist Dineo Seshee Bopape and performance artist Tracey Rose. All three artists are dealing with the post-Apartheid atmosphere and the issues which dominate the society. The project is titled The Stronger We Become and it will be curated by Nkule Mabaso and Nomusa Makhubu and their Natal Collective. 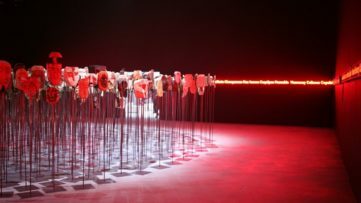 The majority of the biggest participants announced their chosen curators and artists for 2019 Venice Biennale by last summer, so the prolonging of South Africa’s announcement caused an impression that it might not be present at all in the Biennale. Featured image: Mawande Ka Zenzile – Sibhala sicima, 2016-17. 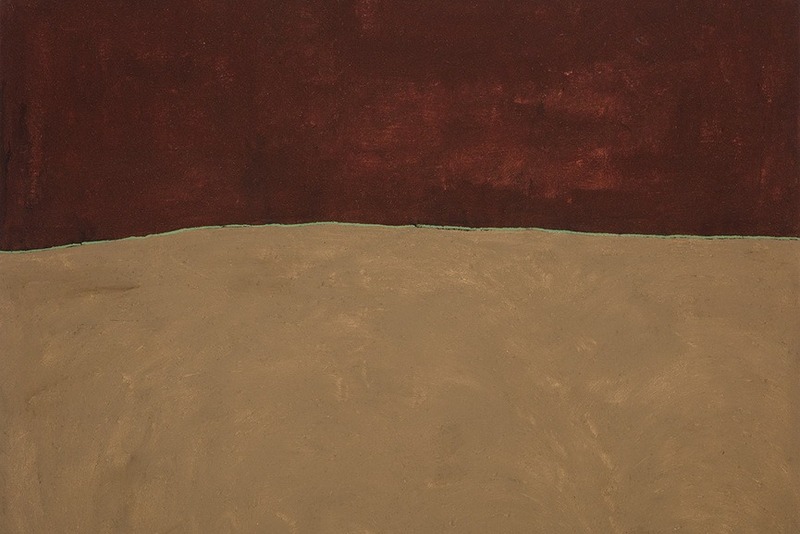 Cow dung, earth, gesso and oil on canvas, 133 x 184cm. Image courtesy of Stevenson Gallery. Next on our list is the Russian pavilion which is for the first time organized by an art institution – The Hermitage Museum in St. Petersburg. Under the curatorial supervision of Mikhail Piotrovsky, (the museum’s general director), the exhibition titled Lc. 15: 11-32 will refer to the Gospel of Luke and the parable of the prodigal son; it will feature an installation by the renowned Russian film director Alexander Sokurov and a contribution of theater artist Alexander Shishkin-Hokusai. Other artists participating in the exhibition, which will be held in the Giardini della Biennale, will be announced in May. Featured image: Alexander Shishkin Hokusai – Untitled. 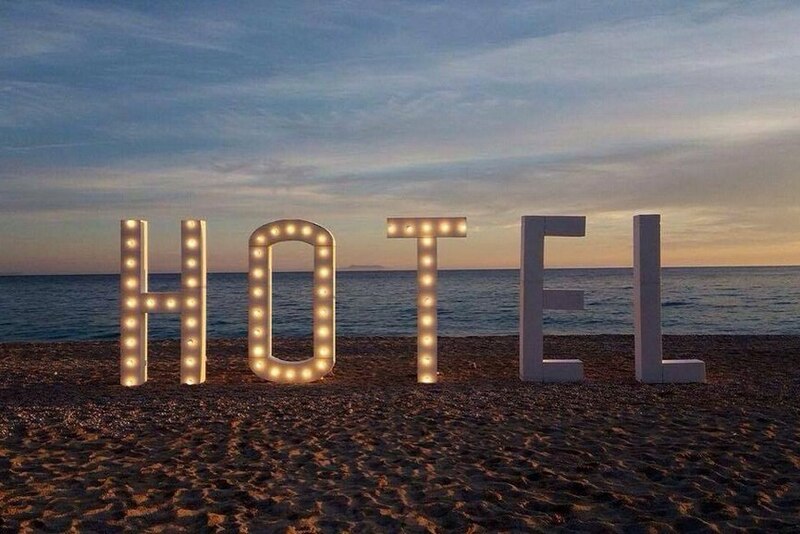 Image via Curiator. A multidisciplinary artist Aya Ben Ron (best known for exploring the concepts of caregiving and medical ethics through installations, videos, and site-specific projects) will represent Israel at the Venice Art Biennale 2019. The project titled Field Hospital X will be navigated by Avi Lubin, lecturer and curator of HaMidrasha Gallery in Tel Aviv. The work will be focused on an imaginary hospital that treats the social evils in order to protect the values such as family, freedom, equality; the treatments will encompass video works by other artists. The Pavilion of The Republic of Kosovo will feature a new project of Alban Muja under the title Family Album curated by Vincent Honoré. Namely, it will explore the consequences of the armed conflict in the country marking the twentieth anniversary of its end. A selection of photos of child refugees that were published in newspapers and on web sites around the world will be a starting point of Muja’s narrative. By tracking down the subjects of the photographs, now adults, the artist tends to investigate the potential of these images and their role in media instrumentalization. The proposed project corresponds most fully to all the prominent tender criteria – from the relation between the proposals and the theme of the 58th Biennial, the merging of the form and content, the consideration of the setting in the existing architectural ambience as the place of articulation of content, the answers given to the technical parameters, the compliance of the budget to the quality of the previous artistic work of the author. The last on our list is the pavilion of India. 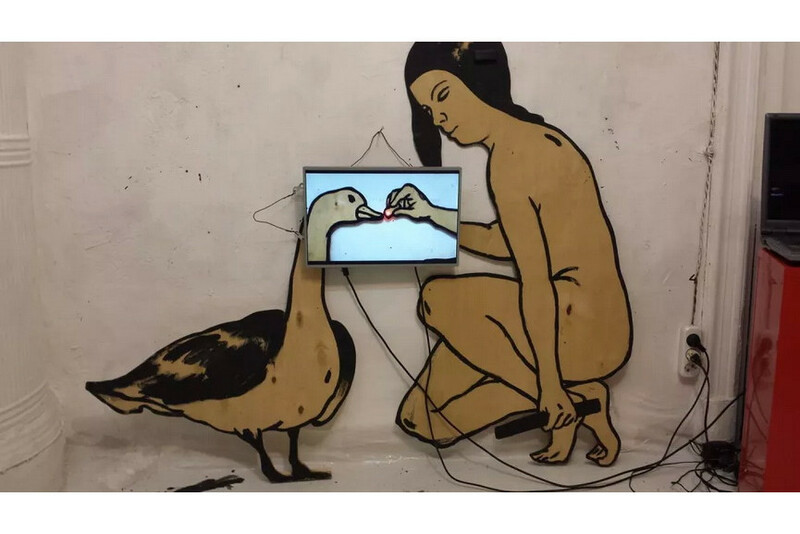 The National Gallery of Modern Art in Delhi commissioned a project titled Our Time for a Future Caring curated by the private modern and contemporary art museum the Kiran Nadar Museum of Art (the Pavilion’s Principal Partner). The works of seven established modern and contemporary artists belonging to different generations, such as Atul Dodiya Rummana Hussain Nandalal Bose, Shakuntala Kulkarni, GR Iranna, Jitish Kallat, and Ashim Purkayastha, will be featured. The exhibition will focus entirely on the activity and historical significance of globally recognized activist Mahatma Gandhi, so the artworks are expected to refer directly to him and his engagement or to offer conceptual interpretations of his philosophical ideas and broader notions of social action and freedom. The India Pavilion will be a part of the country’s ongoing program honoring 150 years of this exceptional historical figure. Featured image: Jitish Kallat – Covering Letter, 2012. 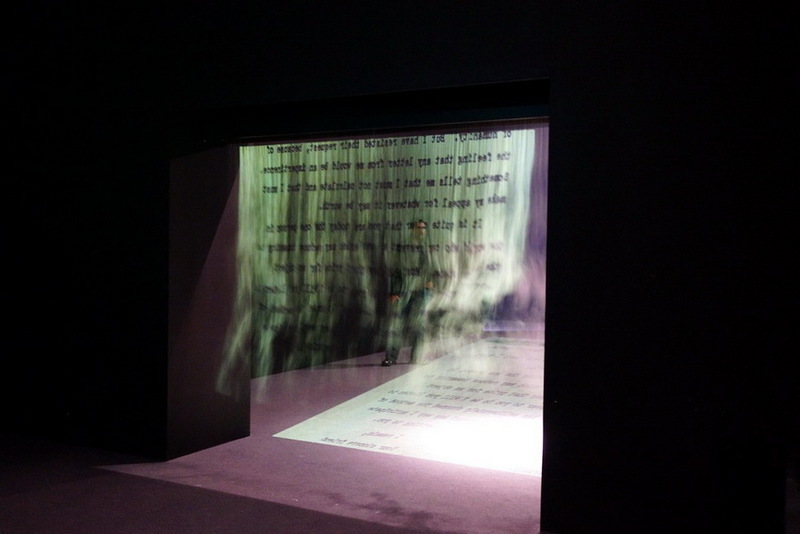 Fogscreen projection installation. Image via Flickr. The 58th Venice Biennale has released the final list of the national exhibitors in 2019, bringing a total of 90 participating countries. Curators: Ivan Sansa, Paolo De Grandis. Commissioner: Daryll Matthew, Minister of Sports, Culture, National Festivals and the Arts. Curator: Barbara Paca with Nina Khrushcheva. Exhibitors: Timothy Payne, Sir Gerald Price, Joseph Seton, and Frank Walter; Intangible Cultural, Heritage Artisans and Mas Troup. Commissioner: Nazenie Garibian, Deputy Minister. Exhibitors: “ArtlabYerevan” Artistic Group (Gagik Charchyan, Hovhannes Margaryan, Arthur Petrosyan, Vardan Jaloyan) and Narine Arakelian. Commissioner: Mammad Ahmadzada, Ambassador of the Republic of Azerbaijan. Curators: Gianni Mercurio, Emin Mammadov. Exhibitors: Zeigam Azizov, Orkhan Mammadov, Zarnishan Yusifova, Kanan Aliyev, Ulviyya Aliyeva. Curators: Mokhlesur Rahman, Viviana Vannucci. Exhibitors: Bishwajit Goswami, Dilara Begum Jolly, Heidi Fosli, Nafis Ahmed Gazi, Franco Marrocco, Domenico Pellegrino, Preema Nazia Andaleeb, Ra Kajol, Uttam Kumar karmaker. Commissioner: Iaroslava Boubnova, National Gallery in Sofia. Exhibitors: Rada Boukova , Lazar Lyutakov. Commissioner: China Arts and Entertainment Group Ltd. (CAEG). Exhibitors: Chen Qi, Fei Jun, He Xiangyu, Geng Xue. Commissioner: Norma Rodríguez Derivet, Consejo Nacional de Artes Plásticas. Exhibitors: Alejandro Campins, Alex Hérnandez, Ariamna Contino and Eugenio Tibaldi. Commissioner: Eduardo Selman, Minister of Culture. Curators: Marianne de Tolentino, Simone Pieralice, Giovanni Verza. Exhibitors: Dario Oleaga, Ezequiel Taveras, Hulda Guzmán, Julio Valdez, Miguel Ramirez, Rita Bertrecchi, Nicola Pica, Marraffa & Casciotti. Exhibitors: Islam Abdullah, Ahmed Chiha, Ahmed Abdel Karim. Commissioner: Elder de Jesús Súchite Vargas, Minister of Culture and Sports of Guatemala. Exhibitors: Elsie Wunderlich, Marco Manzo. Commissioner: Ministry of Culture and Communication. 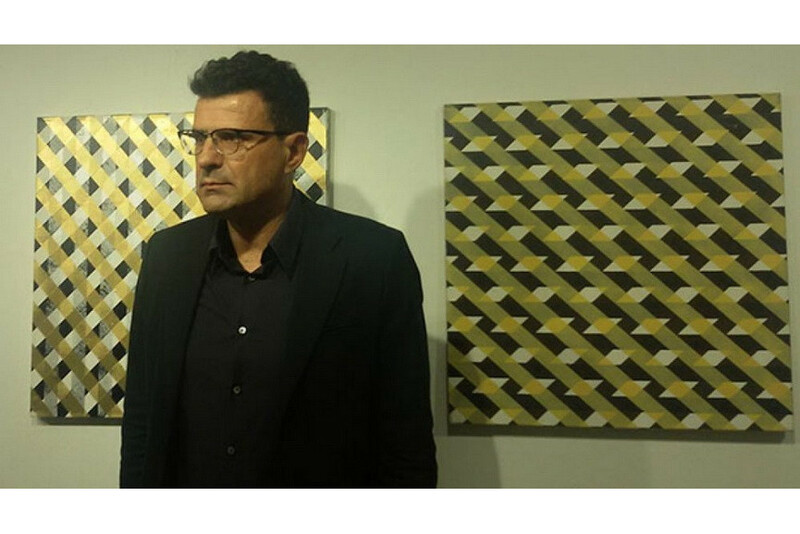 Commissioner: Hadi Mozafari, General Manager of Visual Arts Administration of Islamic Republic of Iran. Exhibitors: Reza Lavassani, Samira Alikhanzadeh, Ali Meer Azimi. Exhibitors: Ernest Dükü, Ananias Leki Dago, Valérie Oka, Tong Yanrunan. Commissioner: Pelea Tehumu, Ministry of Internal Affairs. Curators: Kautu Tabaka, Nina Tepes. Exhibitors: Kaeka Michael Betero, Daniela Danica Tepes, Kairaken Betio Group; Teroloang Borouea, Neneia Takoikoi, Tineta Timirau, Teeti Aaloa, Kenneth Ioane, Kaumai Kaoma, Runita Rabwaa, Obeta Taia, Tiribo Kobaua, Tamuera Tebebe, Rairauea Rue, Teuea Kabunare, Tokintekai Ekentetake, Katanuti Francis, Mikaere Tebwebwe, Terita Itinikarawa, Kaeua Kobaua, Raatu Tiuteke, Kaeriti Baanga, Ioanna Francis, Temarewe Banaan, Aanamaria Toom, Einako Temewi, Nimei Itinikarawa, Teniteiti Mikaere, Aanibo Bwatanita, Arin Tikiraua. Curators: Valentinas Klimašauskas, Inga Lāce. Commissioner: Professor Dato’ Dr. Mohamed Najib Dawa, Director General of Balai Seni Negara (National Art Gallery of Malaysia), Ministry of Tourism, Arts and Culture of Malaysia. Exhibitors: Anurendra Jegadeva, H.H.Lim, Ivan Lam, Zulkifli Yusoff. Commissioner: Domingos do Rosário Artur. Exhibitors: Gonçalo Mabunda, Mauro Pinto, Filipe Branquinho. Exhibitors: Gisella Battistini, Martina Conti, Gabriele Gambuti, Giovanna Fra, Thea Tini, Chen Chengwei, Li Geng, Dario Ortiz Tang Shuangning, Jens W. Beyrich, Xing Junqin, Xu de Qi, Sebastián. Exhibitors: George Camille and Daniel Dodin. Exhibitors: Abdalah Abouassali, Giacomo Braglia, Ibrahim Al Hamid, Chen Huasha, Saed Salloum, Xie Tian, Saad Yagan, Primo Vanadia, Giuseppe Biasio. Commissioner: Vimolluck Chuchat, Office of Contemporary Art and Culture, Ministry of Culture, Thailand. Exhibitors: Somsak Chowtadapong, Panya Vijinthanasarn, Krit Ngamsom. Commissioner: Svitlana Fomenko, First Deputy Minister of Culture. 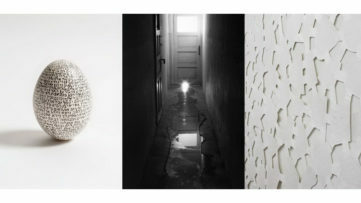 Curators: Open group (Yurii Biley, Pavlo Kovach, Stanislav Turina, Anton Varga). Exhibitors: all artists of Ukraine. Exhibitors: Natalie Rocha Capiello, Ricardo García, Gabriel López, Nelson Rangelosky.